Here at Shooters Hill Sixth Form College, we have a large site equipped with a range of facilities that are available for hire both during term-time and throughout the holidays and half term breaks. 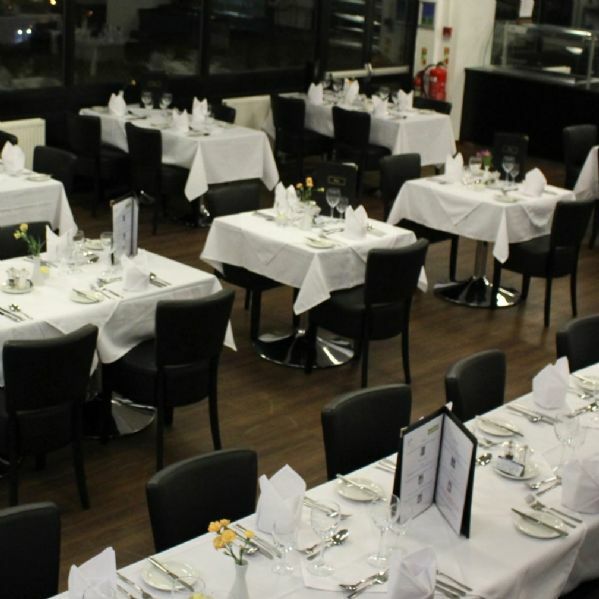 From venues for functions and filming, to spaces for networking events and meetings, we have a large number of rooms and facilities to cater for all you needs. Take a look at the samples below and place your booking via our form. Unsure what room is best for your event? Book a site tour via the booking form. All prices are subject to change and negotiable, please use this list as a guideline only. The following optional extras are available for a supplementary cost. The Hirer is responsible for the Health & Safety of all persons using the hired premises. The Hirer must therefore ensure, prior to the hiring, that the hired areas and all access and egress thereto is suitable for the proposed use by the Hirer and are safe for persons using the premises. The Hirer should familiarise themselves with the route for evacuating the building in case of fire or emergency. Evacuation notices are prominently displayed around the site. The hirer, must, prior to the hiring carry out a risk assessment covering all areas to be used. The leaders of children’s groups must hold a current Criminal Records Bureau Disclosure Certificate for the purposes of Child Protection. Shooters Hill Sixth Form College seeks to maintain high standards throughout our buildings and expect all users to contribute to this. All Hirers will be held responsible for any damage caused by users/spectators to any facility. In the event of the Hirer or its users/spectators causing damage to the facilities, the cost of repairing damage to the building or its fixtures and fittings will be charged to the person named on the agreement as a hirer. The hirer shall also be charged for any cleaning required as a result of the hirers use of the facilities. Equipment damage or defects should be reported to the Premises Staff. As a general rule, Hirers may not store any equipment on the school site except at the discretion of the Premises Staff. If equipment is stored on site, Shooters Hill Sixth Form College accepts no responsibility for loss or damage. The Governors will not under any circumstances accept responsibility or liability in respect of any damage to or loss of any property, articles or things whatsoever placed or left upon the premises by the Hirer or for the Hirer’s use of purposes, including any damage or loss by fire. Appropriate behaviour/attitude is expected of all site users and spectators. Failure to observe reasonable standards of behaviour and language will result in a total ban of the Club/Hirer. The Hirer shall be liable for and shall indemnify the Governors against any expenses, liability, loss, claim or proceedings whatsoever arising under statute or of common law in respect of personal injury to or death of any person whomever or damage to any property real or personal arising directly or indirectly from the hire of the premises unless solely due to the negligence of the Governing Body. Where applicable, the Hirer is responsible for providing personal insurance liability and an insurance certificate must be available for inspection. If in doubt please contact the Administration Office. On hire of the swimming pool, all responsibility for the welfare and safety of those using this facility transfers to the club. Hirers of the pool must ensure that no person wearing outdoor footwear is allowed into the pool area: this to also include prams etc and any other item that has had outside contact. Failure to observe this will result in a ban of the Club/Hirer. Clubs hiring the pool are required to provide an adequate number of RLSS Pool Lifeguards holding a valid certificate. Logbooks must be up to date and you may be asked to produce these before using the facilities. The lifeguard must be clearly visible and remain at poolside at all times. In case of sub aqua clubs, at least one member must hold either a current RLSS Pool Lifeguard or a current BSAC Lifesaver Award. In all cases the Club’s Lifeguard must be easily identifiable to all club users. No alcohol may be sold or consumed on the premises. Smoking is not allowed on the premises. If the Hirer intends to charge admission to an event taking place on the premises, they must seek the permission of Shooters Hill Sixth Form College at the time of booking. Invoices will be raised at the start of the contract and must be paid within 28 days. All ‘one-off” bookings shall be paid for in advance. Any Hirer in arrears will not be given admission and will not be offered further bookings. Customs and Excise regulations do not require VAT to be charged to sports clubs, which are on contract with ten or more sessions booked, providing payment is made in full within 28 days of the receipt of the invoice. If the Hirer fails to meet contract conditions e.g. terminating early or not paying the total due, the invoice will be re-issued to include VAT for the whole period. All ‘one off’ bookings will incur VAT at the standard rate. The Hirer shall ensure that the entry and exit of all personnel to and from the site is executed with the minimum noise and disruption to the neighbours. Likewise that the activities whilst occupying the site causes minimum disruption to neighbouring properties. Should the School receive consistent complaints from neighbours in this respect, it reserves the right to withdraw permission for occupation without refund to the Hirer. Such withdrawal shall not entitle the Hirer to make any claim whatsoever against the School Governing Body. All out of hours bookings must finish by 23.00 hrs – (11.00pm). Hirers will receive a 15 minute warning and after those 15 minutes the function must cease and the hirer shall be given half an hour to clear up and leave the premises as they found them. Our college is the perfect venue for any filming projects you be planning. From our unique architecture to the vast array of different looking rooms, our college has it all. The room was perfect and our networking event went off without a hitch thanks to the IT staff provided for our event!